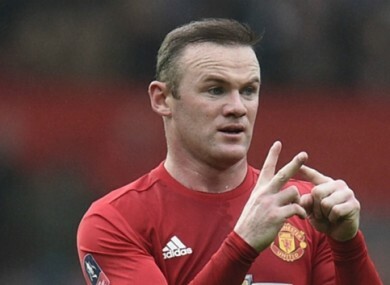 Wayne Rooney recently broke Bobby Charlton's Man United goalscoring record. FORMER ENGLAND INTERNATIONAL Stan Collymore has claimed that only Lionel Messi and Cristiano Ronaldo have had better careers than Wayne Rooney in the past decade. Rooney became Manchester United’s record goalscorer on Saturday when he netted his 250th goal for the club, having previously broken Bobby Charlton’s record to become England’s highest ever scorer. Since moving to Old Trafford in 2004, the Liverpool native has won five Premier League titles as well as the Champions League in 2007-08. Collymore believes Rooney’s achievements in the past 10 years single him out as one of the best players in the world. If you take out the big two, Lionel Messi and Cristiano Ronaldo, he has had as good a career as anybody in the world over the last decade,” the former Liverpool forward wrote in his Daily Mirror column. “You don’t break Sir Bobby Charlton’s England or Manchester United’s goal records without being something very special. Despite the claim that he has one of the best careers in club football, Collymore has been less than impressed with Rooney’s showings for the Three Lions. Rooney was named in the Team of the Tournament at Euro 2004, but despite appearing at five major tournaments since then, has flattered to deceive as England never reached further than the quarter-finals stage. “It is a little disappointing that we couldn’t see him at his best for England in terms of winning trophies or getting to finals and semi-finals,” the three-time England international said. Email “'Only Messi and Ronaldo have been better than Rooney'”. Feedback on “'Only Messi and Ronaldo have been better than Rooney'”.